York furnace install one of the best systems out there today with the proper install are York 80% single or two stage efficiency systems. York furnaces also go up to 96% single stage or two stage furnace installs with proper maintenance will last you for years. The Price is Right Heating and Cooling knows how to size your home. For whatever furnace air conditioning that you need. Azrikam will install whatever it takes to make you and your family comfortable. Coleman furnace install Coleman furnaces are very reliable .You can always count on a Coleman furnace. No matter how cold or how hot. The Coleman furnaces are made to last for 20 years and up. With the proper install these systems are dependable and will not let you down. They will bring comfort and peace to you and your family. The Price is Right Heating and Air Conditioning.We have been maintaining Servicing repairing and replacing 30 year old Coleman furnaces .With the new Coleman high efficient systems installs. 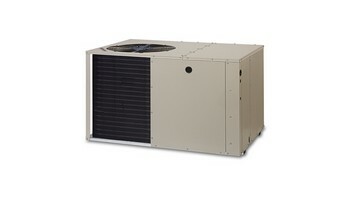 Rheem furnace install we are one of the most reliable furnaces that are out there today. The way rheem furnaces are maid and engineered today. This is why they last for many many years. The heat exchanger is mane super thick It holds the heat a lot longer. Then many other furnaces. With the proper furnace install. This is one of the reasons that makes Rheem furnace system efficient. The Price is Right Heating and Air Conditioning company.We have been installing Rheem 80% efficient furnaces for the last 20 years. They are very dependable and reliable and will last you a long. Ruud furnace install you know the manufacturers of ruud are the same manufacturers that make Rheem furnaces. When installing a Ruud furnace .it is very important that you get the right BTUs for the home that you're doing the install in. That you are also installing the the proper tonnage for the system that you're about to install. Square footage BTUs tonnage and the driver of the Furnace are very very very important to understand. The Price is Right Heating and Air Conditioning hvac professionals. Our install specialist make sure that you have proper equipment for the size of your home. Heil furnace install to install 80% single stage furnace. Or to install an 80% two stage furnace. Is a lot different then installing a 96% efficiency furnace. There are many differences one of them is the 80% furnace whether it's a single stage or a two-stage furnace you are venting to the chimney. The 90% or 96% high efficiency furnace is venting through a PVC pipe that vents to the side of the house. To install 96% efficiency furnace. It must be the proper install or the system will not work properly. A Heil 96% efficiency furnace has a drain box. If the system is not installed properly. The system will shut down and you will be left with no heat. Climatemaster furnace install climatemaster furnaces have been around many years. They're one of the best furnaces that you can install in a residential home or a commercial building. These systems are very easy to troubleshoot and install . The parts are Universal very easy to find. We we have a lot of climatemaster furnaces that we've have installed throughout the 25 years that we have been in business. These are one of the best systems that you can rely on . That will not let you down. When you need comfort for you and your family. Tempstar furnace install when you hear Tempstar furnace. That name is something you can be proud of. No matter how cold or how hot. With proper furnace install . These Tempstar systems do not stop working, I have seen Tempstar furnaces with proper installation last many years. That have not been serviced or clean for seven eight years. But still running and working. These furnaces will not let you down. Please be responsible and get these furnace cleaned and checked once a year. 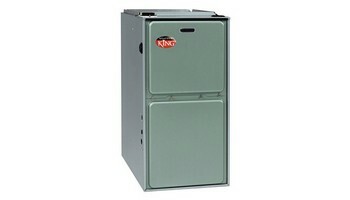 For a long-lasting furnace life of equipment and efficiency.Saving you money everyday working efficiently. they work hard for you. 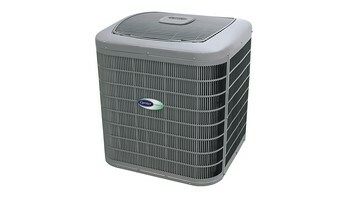 We service all makes and models of furnaces, air conditioners, and rooftop models within the Dunning area. For more information contact us at (847) 409-8699 and we'll be happy to answer any heating or cooling questions.